I decided to fix up my Lizzie Kate Spring 4 seasons yesterday.. I think it looks a whole lot better ! How about you? Spring has come out all over the house and I can't wait to start showing you! Have a great day! I like it on the yellow plaid background. 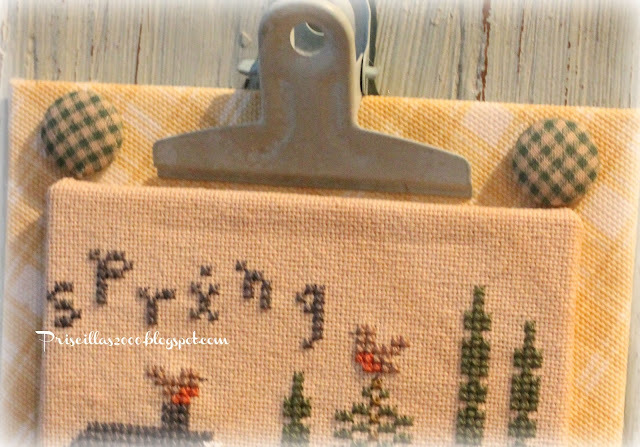 Looking forward to see spring at your house! 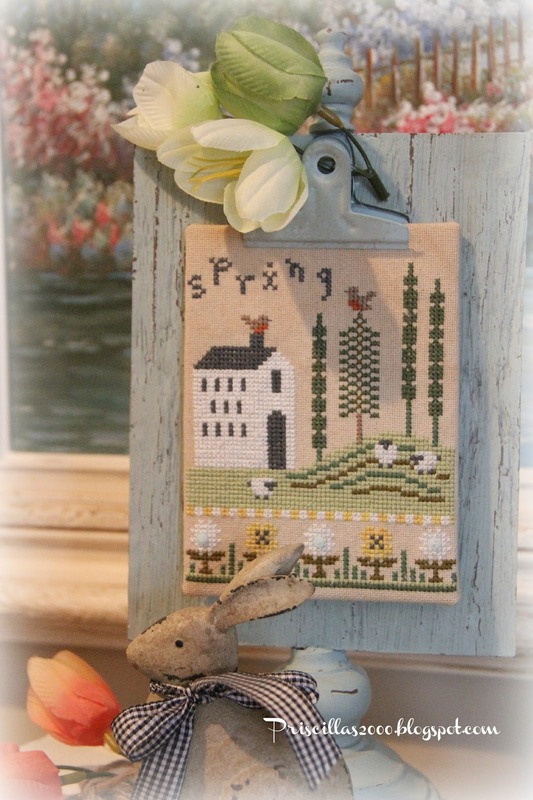 Love the spring cross stitch it looks fabulous. 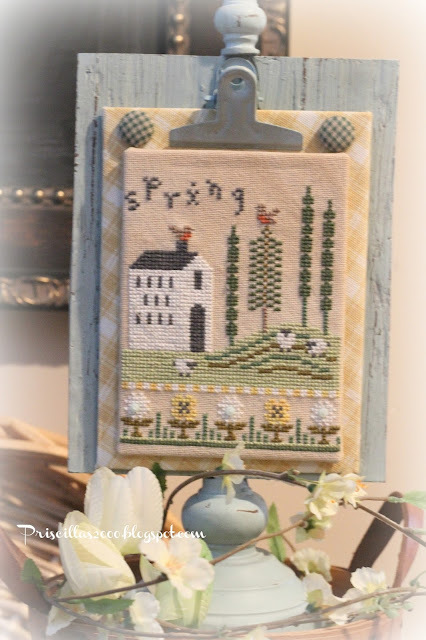 I can't wait to see your spring decorated house! Love the yellow gingham and the green buttons - it was cute before but now it is perfect! One of the things I admire about your work is the creative way you display it! I need you to mentor me on this! I love all the clever ways you find to finish stitching! Love it with the yellow and the buttons! Totes adorbs! 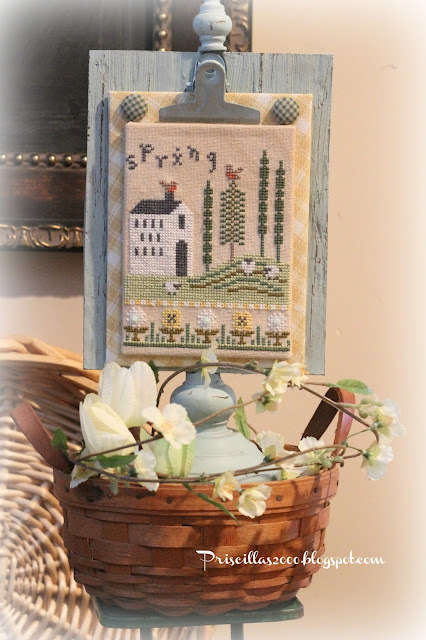 I love how you 'fix up' your needlework! 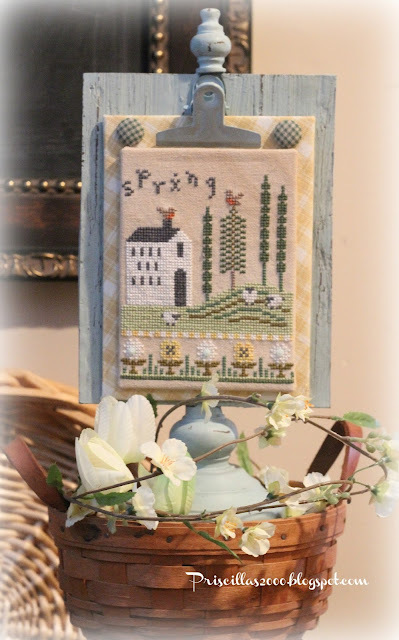 This springtime piece is perfect. So Sweet, Priscilla!! I also love how you displayed it!! Love the color of yellow for spring, reminds me of daffodils. Pretty spring stichery! Lovely colours and really cute craft. Love the spring theme, it's really awesome.